There are 14 local governments in the four-county Capital District that have adopted the Climate Smart Community Pledge. 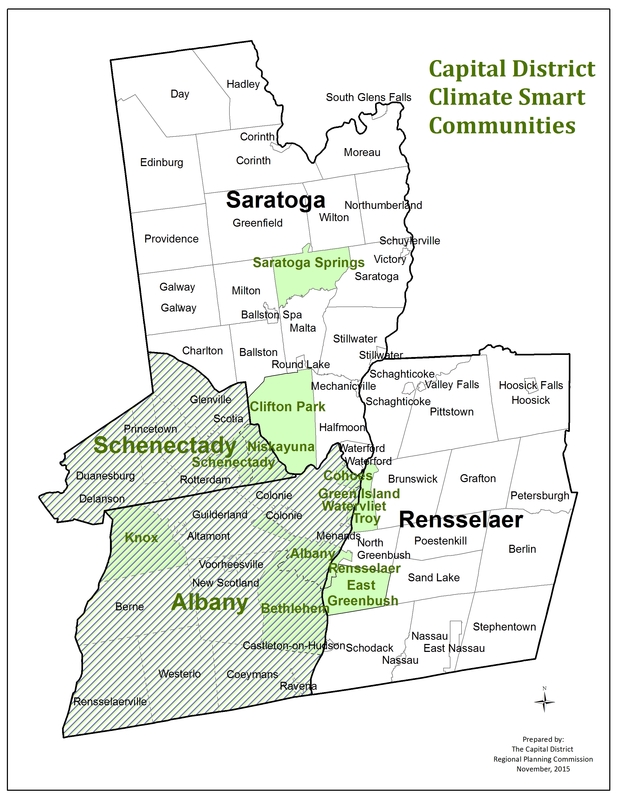 These communities include: the cities of Albany, Cohoes, Rensselaer, Saratoga Springs, Schenectady, Troy, and Watervliet; the towns of Bethlehem, Clifton Park, East Greenbush, and Niskayuna; the Village of Green Island; and the counties of Albany and Schenectady (see map below). A community profile of each CSC participant is included below. The profiles include all pertinent information on their current climate protection efforts and the details of any action on pledge elements, and serve as documentation of the status of each CSC participant in addressing the ten elements of the CSC pledge.